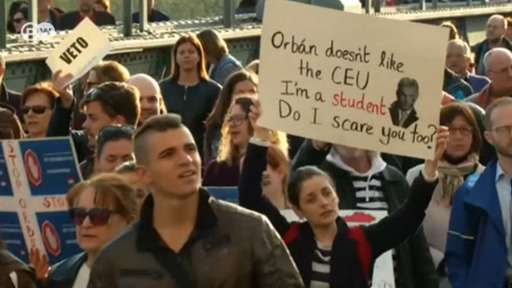 After his election victory, Hungarian premier Viktor Orban is cracking down on opposition. A pro-government newspaper recently published a list of names of people accused of supporting US-Hungarian magnate George Soros’ Open Society Foundations. The powerful center-right alliance in the European Parliament has voted to suspend membership of Viktor Orban's party. Ahead of the vote Orban said that Fidesz would quit the EPP if its membership was suspended.